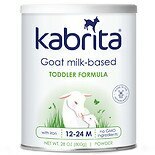 Shop Kabrita Goat Milk Formula, Powder, Non GMO, Natural & Gentle (28 oz. )28 oz. $4599$45 and 99 cents$1.64 / oz.